This tutorial will teach you the secretes of making great bead & cove strips. Proper router bit height and depth are obviously key points but the real secret is how you mill you lumber. The tools pictured in this tutorial are way overkill for what is required. 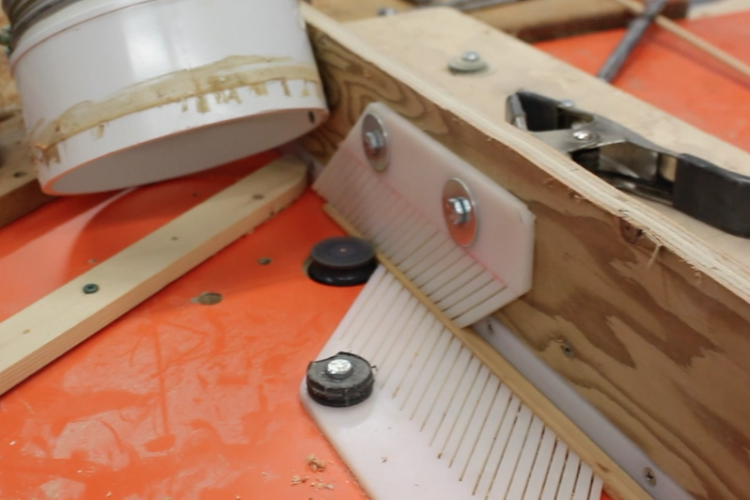 I use 7-1/4″ blades on my 3hp table saw because of their thin kerf. If you have a portable table saw I recommend trying this set-up for all your sawing needs as it is a cheap way to effectively increase your horse power. The rails are built with narrow bead/cove strips allowing them to follow the tight radius of the rails. This is one place on the board where it is important to use clear straight-grained lumber. We all know that the grain of wood runs along the length of the tree trunk, or branch. When a cylindrical log is cut into rectangular dimension pieces (green below), the grain may or may not run straight through the length of the piece. 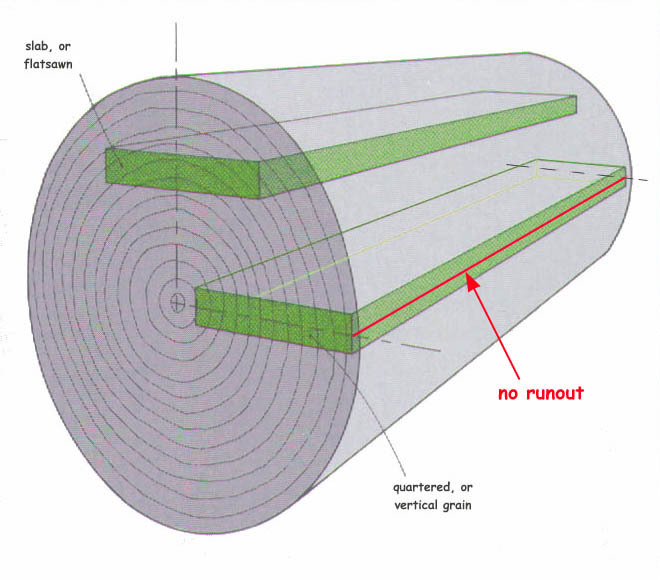 If the lumber is cut a bit off from that natural grain, it reveals what is known as “run out.” This only happens when you saw wood, as it is nearly impossible to get run out by splitting wood. The split will always follow the grain. Cove/bead strips require straight vertical grain since the narrow strips will be bent around forms. Any run out in the grain will cause the strip to potentially break when bent. You should avoid any knots in the rail strip strips, as they are not only weak but also make shaping the rails harder. If your Board has cathedral grain on the face (shown above) you should cut 1/4″ strips off the side of 3/8″ thick lumber. The result is 1/4″ by 3/8″ strips with nice vertical grain on the 3/8″ side. If you start with a vertical grain lumber then you would cut 3/8″ strips off he side of 1/4″ thick stock to get the same result. This is a perfect cove/bead strip ready for machining the bead and cove. Vertical grain with no runout. Perfect strips can be made starting with lumber with either VG or cathedral grain if you plan ahead and your board is at least 3/8″ thick. It is impossible to make nice strips out of a board with cathedral grain if you have already milled it down to 1/4″ thickness. Below is and example of what you would end up with if the grain is orientated the wrong way. The strip will be very weak, have a tendency to break when flexed, as well as causing you sanding problems. The wide spacing between the soft summer growth and hard winter growth rings makes it more difficult to sand the rails. The softer material is removed faster than the harder material. This is what you don’t want. The cathedral grain shown has HUGE spaces between the growth rings as well as the rings tendency to lift. Here is my routing set-up. If you prepare your strips properly the milling of the bead and cove is quick and easy. It takes as much time to get set-up the required feather-boards and get the router bit set to the correct height as the actual milling. Always start by milling the bead side first. The bead side still has the ability to accurately slide along the fence for routing the cove but the opposite isn’t possible. The cove side has very thin edges and is unable to support the strip against a fence. I use two feather-boards (one pressing down and one pressing towards the fence) as well as a wooden finger that ensures the milled strip remains tight against the fence. The secret to milling perfect strips is not allowing the strips to flex as they are being routed. Here is the order I set-up my system. Set the height of your bit in the centre of the strip before you worry about the depth of cut. Slowly Increase the depth of cut until there is no flat spot in the centre of the cut but nothing more. Tighten fence and adjust the feather boards. Tip – Test your set-up by only cutting a couple of inches and then pull the strip back through the feather boards without finishing the strip. If the result isn’t perfect snap the edge off that you routed and go and try again. this way each test only wastes a couple of inches of material. 2 – strips without the bead/cove edges for the outline. 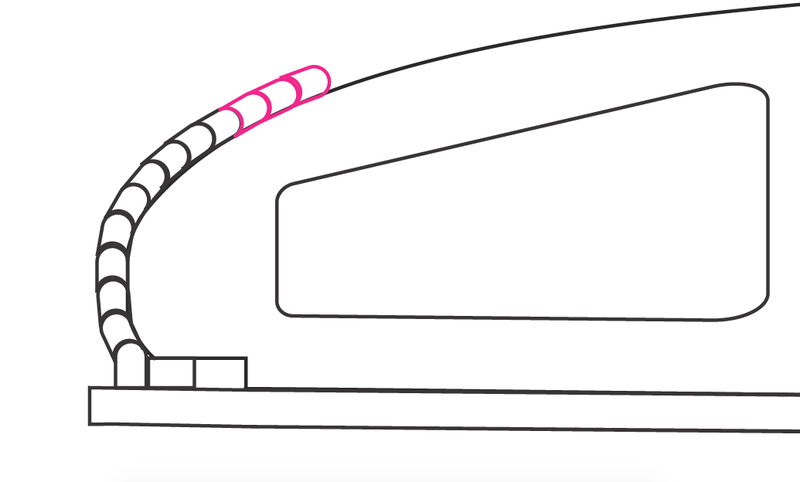 2 – strips with only a bead edge that will be your starter strips. 26-30 strips with both bead & cove edges but it is smart to mill a few spares just incase. The tools pictured in this tutorial are way overkill for what is really required. There are many tutorials on the internet about building really fancy router tables complete with all sorts of extra do-dads. I have a Poter-Cable 7518 router mounted in a JessEm Mast-R-Lift II that I bought used off of a retiring woodworker. It is a locomotive sized motor mounted in a ridiculously expensive router lift. The set-up works well but there is a better solution. I recommend a basic router like the Porter-Cable 690 mounted to an inexpensive Base Plate. 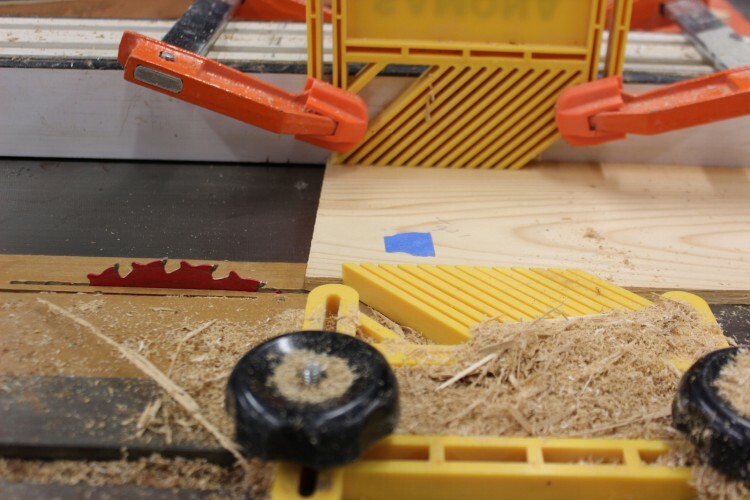 The benefit to this approach is you can position your router table where you want it when you need it and store it out of the way when it isn’t required. 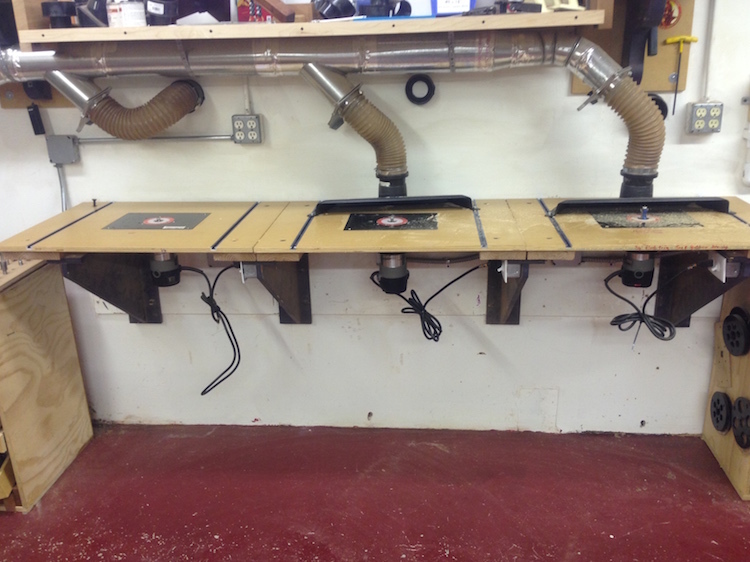 For the professional woodworker you can have serval fixed set-ups for the same money as the router with the fancy lift. Often it takes more time to set your router bit hieght and fence than the actual milling time. You can have this router set-up for the same money as what most router tables would cost to build. You only need 1 if this is a hobby.